The University of Southampton's Vice-Chancellor, Professor Sir William Wakeham, has been appointed chair of SEPnet, a Higher Education Funding Council for England (HEFCE)-funded consortium of six university physics departments across the south-east. SEPnet stands for South East Physics Network. The six partners work together to promote excellence in physics. They are the physics departments of the Universities of Kent, Queen Mary, Royal Holloway, Southampton, Surrey and Sussex. * an undergraduate programme of employer engagement to increase career prospects. Matched funding for these initiatives will be provided over the next seven years by the universities and partner organisations. "As a physicist by training, having taken both my first and higher degrees in physics, I am both honoured and delighted to chair this important partnership of university physics departments. "The national review of physics that I conducted for the Government a year ago showed us that UK physics enjoys excellent international standing and that the role of physics and physicists is vital for other disciplines. However, for the future of physics to be assured, there is a strong need for universities to work collaboratively. "The SEPnet consortium will play a key role over the next five years in maintaining continued world-class strength in physics across south-east England. Physics is a strategically important subject for the UK economy and its science base, and this unique regional grouping offers an unparalleled combined excellence in the discipline." 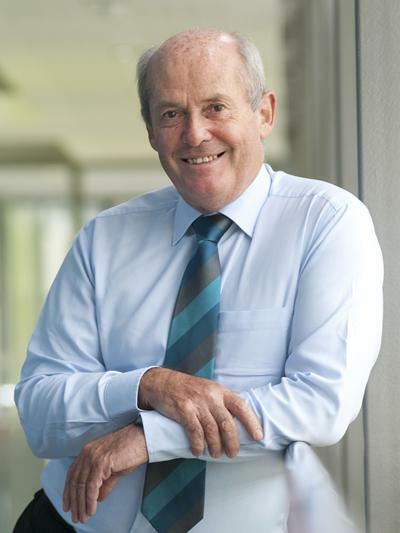 "We warmly welcome Sir William's appointment as Chair of SEPnet. Since it was set up last year the six universities have demonstrated that by working together they can achieve greater levels of activity by building on the strengths of the individual departments. Under Sir William's leadership we look forward to SEPnet continuing to strengthen and broaden the contribution of physics in the south-east through both research and the development of highly skilled students."